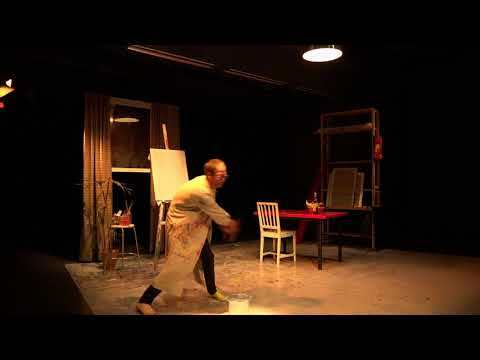 Created by Thom Monckton and Circo Aereo, The Artist is a physical comedy based in a painters atelier. Trying to fabricate inspiration, The Artist blunders unceremoniously into numerous sidetracks and bonkers scenarios which expose the creative process as being simultaneously more and less than what you might expect! The Artist is a show combining hilarious clowning and physical theatre about the rough graft of an artist. Thom Monckton is a performer, director, and teacher of physical based performance originally from a tiny town in the north island of New Zealand, now based in Helsinki. His most common pastime is looking for the thing he put down while looking for the thing he put down. Thom has performed in approximately 28 different countries, and you would think that would contribute to some ability with languages. Apparently it doesn’t. Founded in 1996 Circo Aereo has created 30+ contemporary circus performances and toured in over 40 countries. Company holds base in Finland and France and collaborates frequently with musicians, dancers, visual artists and other circus companies. Sanna Silvennoinen is one of the three artistics leaders of the company, together with Maksim Komaro and Jani Nuutinen.